Where to Buy Lye in Singapore? Where Can I Buy Caustic Soda in Singapore? 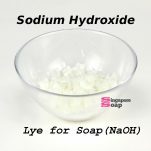 Where to Buy Sodium Hydroxide for Soap Making in Singapore? Looking for Where to Buy Lye in Singapore? 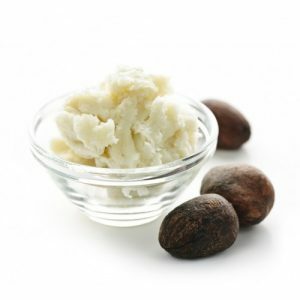 Check out our blog post on Where to Buy Lye in Singapore below. Where to Buy Lye in Singapore? 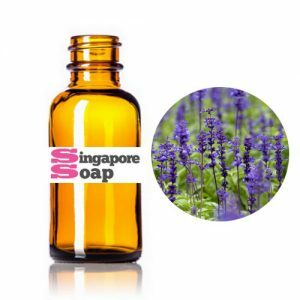 Are you a soap maker looking for how buying lye in SG can be achieved? Are you hoping to find Sodium Hydroxide or Caustic Soda in Singapore to make cold process soap? What exactly is Lye? Why is the soap making folks so fond of lye? And what is Sodium Hydroxide and Caustic Soda? What are they used for? 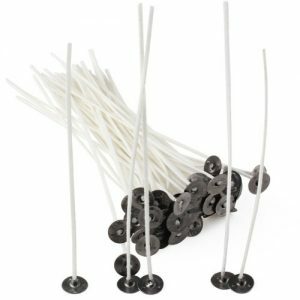 Where can I buy Lye or Sodium Hydroxide in Singapore? Can I make my own soap without lye? Today, I shall dedicate this blog post to the what where and how of the staple ingredient of soap making, Lye (a.k.a. Sodium Hydroxide or Caustic Soda). What is Lye & Sodium Hydroxide? Sodium Hydroxide (NaOH), also known as lye, is an essential ingredient in the soap making process. When sodium hydroxide beads or flakes are mixed with a liquid, a lye solution is created. This solution, when mixed with fats and oils, will cause a chemical reaction called saponification. The result of saponification is beautiful handmade soap. So what is Lye or Sodium Hydroxide? Sodium Hydroxide is also known as lye and caustic soda. Chemically, it is an inorganic compound with a formula NaOH (the compound consisting of sodium cations Na+ and hydroxide anions OH−)  Pure sodium hydroxide is highly soluble in water but has a lower solubility in ethanol and methanol. The first step of soap making involves the disolution (or dissolve) solid sodium hydroxide in water, this process can cause is a highly exothermic reaction where large amount of heat is liberated during the process and could pose a threat to safety e.g. through the possibility of splashing. The resultant water and sodium hydroxide solution (which will be used to saponify base carrier oils) is colorless, odorless and feels slippery when it comes in contact with skin due to saponification. Note of precaution: ALWAYS pour lye slowly in small moderate amount into water, NEVER the other way round. Adding water to lye can cause a volcano-like reaction. Sodium hydroxide can be made (with chlorine and hydrogen) using the chloralkali process. A solution of sodium chloride is electrolyzed and sodium hydroxide is made around the cathode, where water is reduced to hydrogen gas and hydroxide ion. The hydrogen is released and the hydroxide bonds with the sodium to make sodium hydroxide. . 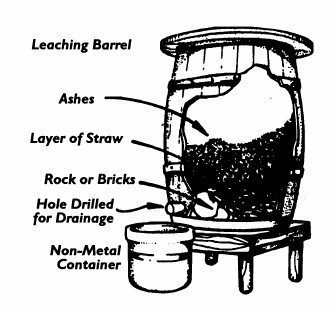 Traditionally, soap makers makes lye using wood ash (The ash should come from hardwoods as soft woods are too resinous to mix with fat) and water (preferably rainwater). 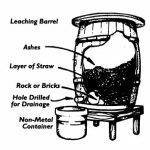 The problem with making lye from wood ash, although it is a simple process, the end result can be that your lye water is either too strong, or too weak. Either way, it could spoil your batch of homemade soap. So what is Potassium Hydroxide? Potassium Hydroxide is a type of lye specifically used to make liquid soap. is an inorganic compound with the formula KOH (commonly called caustic potash). Along with sodium hydroxide (NaOH), this colorless solid is a prototypical strong base. Also known as potash, lye or even KOH, it induces saponification of the fats and oils to create liquid soap. 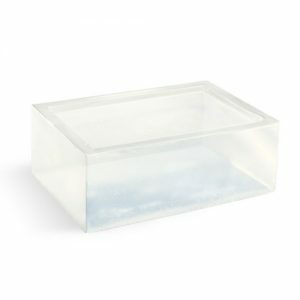 Potassium Hydroxide (like Sodium Hydroxide, Lye) is hygroscopic (meaning it attracts moisture), so be sure to keep it in a sealed container in a cool dry place. If you leave it in an open container for even a day, it can attract enough moisture to throw off its weight enough to ruin a recipe and always remember, it is just as caustic and it is advised that you practice precautions when using it as well. 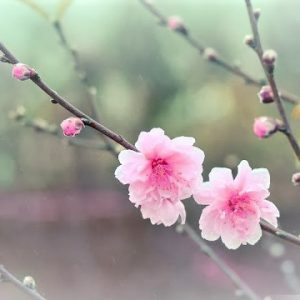 Since this article is about the more commonly used Lye, I shall focus on Sodium Hydroxide first and talk about Potassium Hydroxide in another post. Sodium hydroxide (a.k.a. Lye, NaOH or Caustic Soda), is commonly used to control the pH of cosmetics and personal care products. It is also used to saponify oil, neutralize acids and make sodium salts. Industries using sodium hydroxide for mass production range from the manufacturing of pulp and paper, textiles, drinking water, soaps, detergents and food production. Commonly sold as flakes, prills (pellets), and cast blocks, it should alway be used by personnel with the appropriate knowledge and training as it can pose as a safety hazard. As with any lye solution, be sure that you are wearing proper safety gear – gloves and goggles, apron (and long sleeves preferably) – and make sure that there are no children, pets, spouses, etc. to distract you when you’re making your lye solution. There are many ways to make soap, but more commonly used are Hot Process, Cold Process and Melt and Pour Soap Making. it. 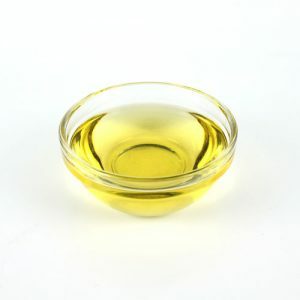 For hot and cold process soap making, you need lye. Period. It is simply impossible to make real soap without lye or sodium hydroxide because there are no substitution for the purpose of saponification of oil. 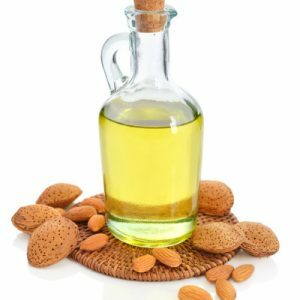 You need lye to saponify base oils in order for it to turn to soap. However, you can still make soap at home, if you are using Melt and Pour Soap Bases. These soap bases are essentially made through hot process with added humectant (e.g. glycerin and propylene glycol) for moisturizing and melt-ability. A word of precaution, always look for detergent free melt and pour soap bases as some of these MP bases are added with cheap detergents and soap mimicking chemicals to reduce cost. These ingredients e.g. Sodium lauryl ether sulfate, sodium laureth sulfate, phthalates and many more, are harsh to your skin and could complicate skin conditions. Just check the ingredients listed on these bases and do a google search for each of the items. Sadly, there are very few true soaps on the market. Most body cleansers, both liquid and solid, are actually synthetic detergent products. Detergent cleansers are popular because they make suds easily in water and don’t form gummy deposits. Some of these detergent products are actually marketed as “soap” but are not true soap according to the regulatory definition of the word. Where to Buy Lye or Sodium Hydroxide? Sodium hydroxide and potassium hydroxide are industrial chemicals controlled as a hazardous substances under the Environmental Protection and Management Act (EPMA) and its Regulations. National Environment Agency (NEA) has informed that no individuals are allowed to import/purchase such controlled chemicals for personal/domestic use. Soap makers in Singapore can only get lye by renting a soap making workshop approved by NEA with a license/permit. These workshops must meet the strict safety requirements imposed by the authority and must be located in a B2 category industrial building. Looking for lye (sodium hydroxide) to make cold processed soap in Singapore at home is simply impossible. However, as an active promoter of real soap making in Singapore, we have set up a private room for soap makers in Singapore to make soap! Now, you can make soap by simply booking a soap making workshop from us! Hooray soap makers! Now you can make your own soap, without the headache of how to get lye in Singapore and the need to purchase a whole list of soap making equipment and ingredients to start! So stop worrying about where to buy lye in Singapore and start booking a room for your soap making session. Rental rates are at $10 per 20 minute block (Per Person) only with a minimum of 3 blocks per rental (i.e. 60 minutes). (comes with all the basic equipment to make soap) and come on site to make your soap! Additional materials like lye and oils can be purchased at site! Bring your friends along and they can enjoy 50% off their rental rates! Is there lye in your soap? Won’t it harm my skin? Making soap without lye: How to avoid the dangers of lye? How to make your own sodium hydroxide (lye)? Disclaimer:The information found/put up in this Website is intended for educational information only. You should not rely on the information to make any medical or other decisions for treatment or otherwise. Any medical or other decisions should be made in consultation with your doctors. The publisher will not be liable for any complication, injuries or other medical accidents arising from or in connection with the use of or reliance upon any information in the Website. SingaporeSoap.com carefully source and select quality and cost effective ingredients to ensure our customers receives only the best quality products at the most economical wholesale price. 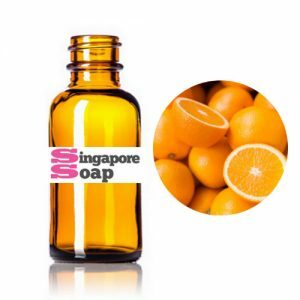 Find best soap making supplies in Singapore by shopping with us. We deliver anywhere: Singapore and International.